What Is a Low-Carb High-Protein Diet? 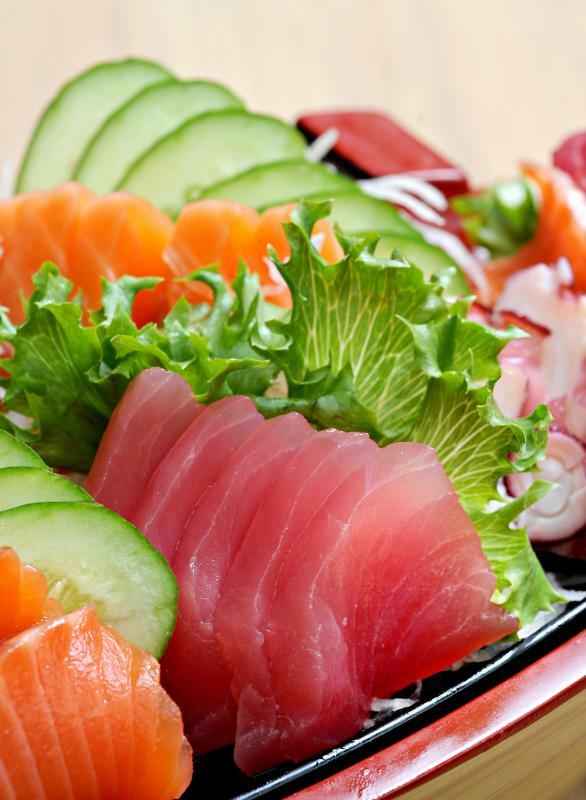 Sashimi and vegetables are allowed on a low-carb, high-protein diet. 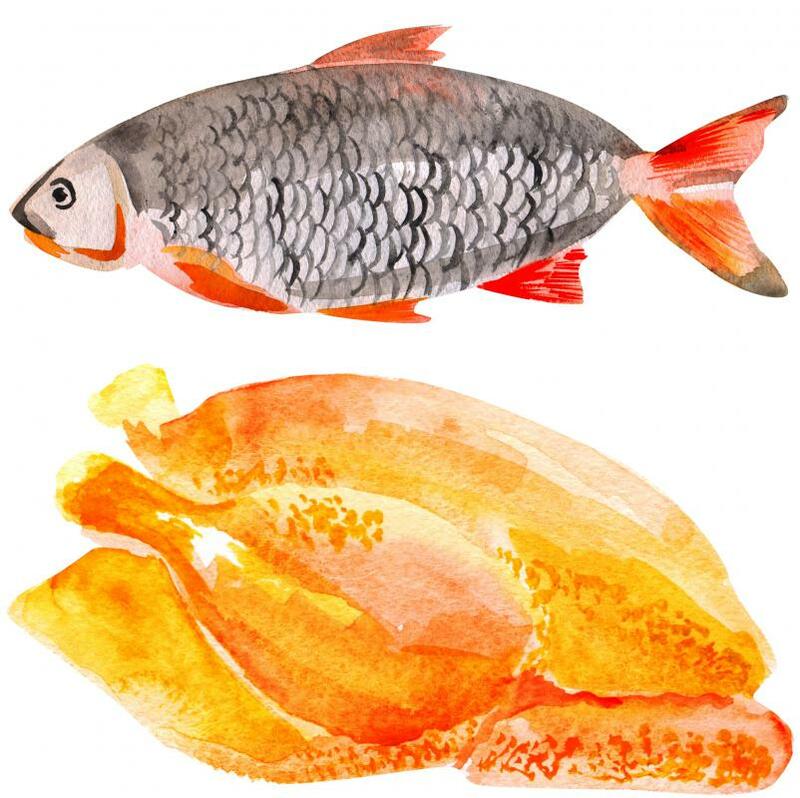 A high-protein, low-carb diet will include meat such as fish and chicken. 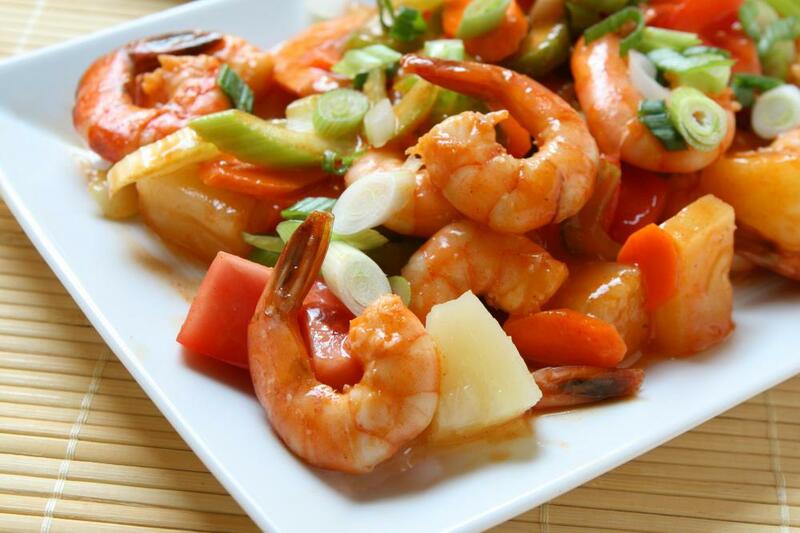 Dishes that contain vegetables and a light source of protein, such as fish or shrimp, are good for a low-carb, high-protein diet. A low-carb high-protein diet is one in which a dieter sharply restricts his carbohydrate intake while also consuming high amounts of protein. The exact amounts of protein and carbohydrates consumed on such a diet will vary by the specific diet plan followed by the dieter, as well as the dieter's individual needs. A typical daily menu while on a low-carbohydrate diet that is also high in protein will include a lot of meat and eggs, along with moderate amounts of dairy products, nuts, and some green vegetables. The amount of fat in such a diet can vary considerably, with some plans placing no restriction on fat consumption, while other plans encourage dieters to monitor their dietary fat. As a general rule, low-carbohydrate diets vary considerably from the typical food consumption patterns in industrialized nations. In many such places, consumption of breads, starches, and sugars is commonplace and may even make up the bulk of a person's diet. In addition, some government health agencies openly endorse the heavy consumption of carbohydrates, though they may also encourage people to primarily consume complex carbohydrates in the form of whole grains, beans, and vegetables. Many people, however, have experienced significant weight loss as a result of switching to a low-carbohydrate diet that is also high in protein. For some dieters, a low-carb high-protein diet is effective because it permits the dieter to eat rich, tasty, and satisfying foods that many diet plans have traditionally restricted. These dieters are not restricted from meat consumption unless they prefer to not eat meat, and they may be encouraged to consume as much as 50 percent of their daily calories in the form of protein. They can also eat cheese, nuts, and other high-calorie but low-carbohydrate foods. While fruits and vegetables are at least somewhat restricted, a low-carb high-protein diet will typically permit dieters a certain amount of salad greens plus low-carb green vegetables as part of their daily menu. On the other hand, the low-carb high-protein diet does restrict carbohydrate intake, often limiting dieters to 20 grams of carbohydrate per day in the initial phases of a diet and then perhaps increasing a person's daily allowance to somewhere between 30 and 50 grams per day. This can pose a challenge to some dieters who may depend on prepared foods and restaurant meals, which often contain high amounts of carbohydrate, some of them not easily detectable in the form of added sugars and starchy sauce thickeners. Dieters may need to make a significant change in their eating habits in order to both keep their carbohydrate count low while consuming high-protein foods that are not wrapped in bread, such as sandwiches. As a result, adherents of a low-carb high-protein diet may need to take particular care in preparing food at home that meets their dietary needs. What Are the Best Tips for Low Carb Cooking? What Are the Different Types of Low-Carb Crackers? What Are the Different Types of Low Protein Foods? What Are the Different Types of Low Calorie Sauces? I've been on the low carb high protein diet plan for a while and love it. I have stopped calling it a DIE-it, it's actually a LIVE-it, because it has to become a lifestyle. There are so many excellent foods on this program, you never really have to feel like you're suffering. And if you do break down and have that slice of apple pie at Thanksgiving, don't beat yourself up over it. Just take the next couple of days and eat clean (avoid white rice, white bread, sugar, pasta), and you'll be back on track again. What I've learned from being on a high protein low carb diet plan is that once you've dropped some significant weight (which doesn't take very long), you have the ability to "cheat" once a week with something you crave and not ruin your diet. I "cheat" by eating bread dipped in olive oil or having a few bites of that brownie I've been craving and this helps me stay on the diet knowing I can have what I want as long as I only have it once a week in small portions. It's been working for me and I've kept off 25 lbs in the past 6 months with this diet plan.